Chem trail over your sky, the quetion is: What are they spraying? 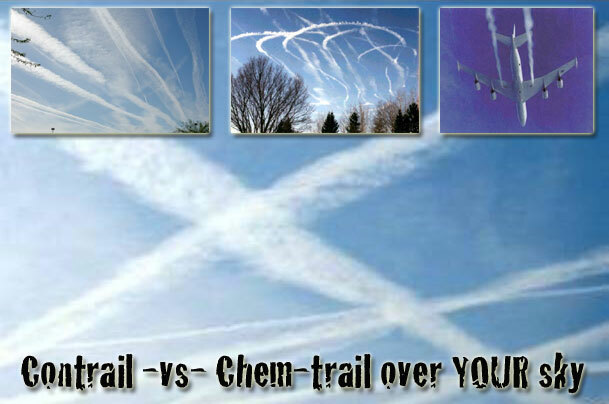 It is said that the chemtrails are not chemical spraying, but just Contrails - condensation trails that occur when a jet aircraft's exhaust produces condensation. The question is: What are they spraying? CHEMTRAILS: Creating a Carrier for Electromag Frequencies? Orange", a scientific report, which has been compiled on behalf of ? the Belfort-group and of humanity by a team of experts with ? relevant aviation background. This is very important : the authors ? are inside experts. They know what they are talking about !